Scotland, on the private Lochan at Tigh Mor, is the ideal place to learn how to fish, or to hone your skills. Our ghillie, Morris, lives in the Trossachs and knows both the Loch Achray and our little fishing Lochan inside out. He is a dab hand at fly fishing and often bases himself at Tigh Mor specifically to provide tailored tuition for guests there. You’ll have the exclusive opportunity to learn and practice with the master. No matter the size of your group – whether you are two, four or 24 – you can make your way down to the ghillie’s hut in the grounds and Morris will take you to our little, excellently stocked Lochan. From Tigh Mor you’ll make your way down through the grounds towards Loch Achray. The undulating Scottish countryside spans around you here and really sets the scene for a day of fishing. So, what is fly fishing? 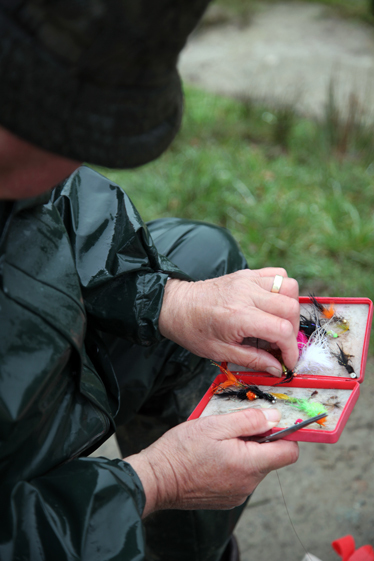 It’s a type of fishing where you use an artificial ‘fly’ instead of live bait. Because you are castling a very light lure, the casting technique is different from that of other forms of fishing. You’ll be supplied with all the equipment you need and will be shown how to cast a line as well as the skills necessary to perfect the art of fly fishing. 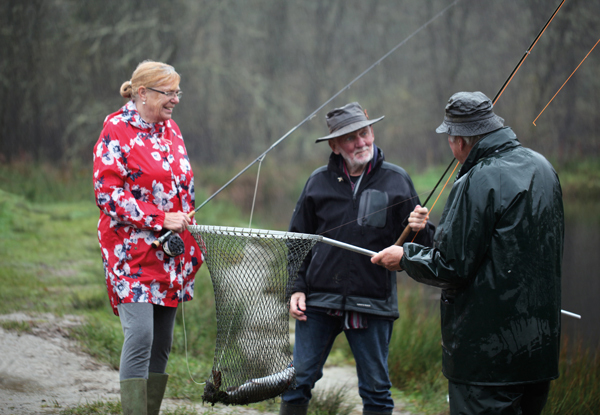 At the Lochan you’ll mostly be catching brown trout and you’re welcome to keep what you catch! When you’re on site simply enquire at reception and get yourself booked in. Find out more about Tigh Mor by entering your details for a free brochure.